You are on your way to Greece! We are very much looking forward to meeting you and getting to spend some time with you while we show you around our beautiful country. We have no doubt that once you arrive there will be plenty of opportunities to get to know each other better and to answer some of the questions you might have about Greece. 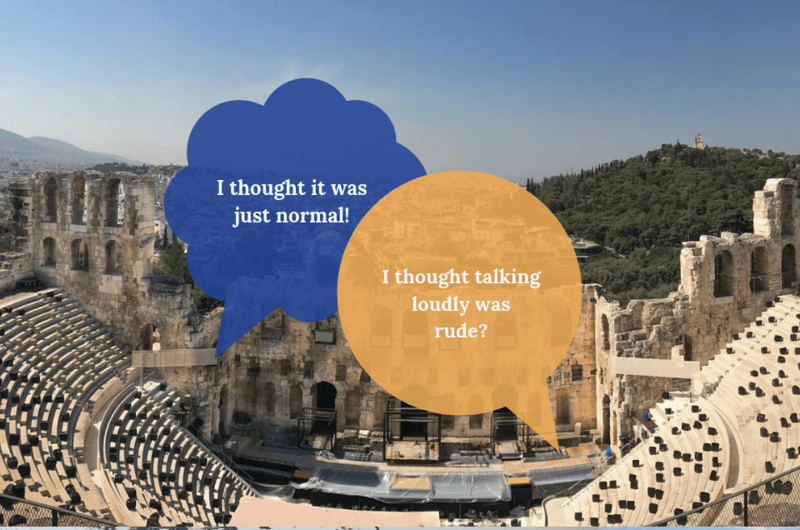 One topic that we get asked about a lot and one that might be worth mentioning now is the question of the language barrier. Soon you might be relaxing here, the island of Crete. Language barriers are defined as difficulties in communication when people that speak different languages or dialects interact with each other. For anyone that has travelled abroad, or maybe tried to communicate with a person that has a different English dialect, or accent, they can attest to how miscommunications occur and the message you wish to transmit is not transferred appropriately. As a matter of fact, barriers to communication don’t even need to be linguistic. In the field of language study, they state that any time you have two people that try to communicate there is bound to be an interference presence in their communication. Guaranteed! So, once you arrive and we start talking, we might face some (at times hilarious) miscommunications. All our team members speak excellent English but with a Greek accent. The famed Greeklish. What that means is they sometimes speak louder, or more directly. These are not excuses but real observations from other people we are all aware of. 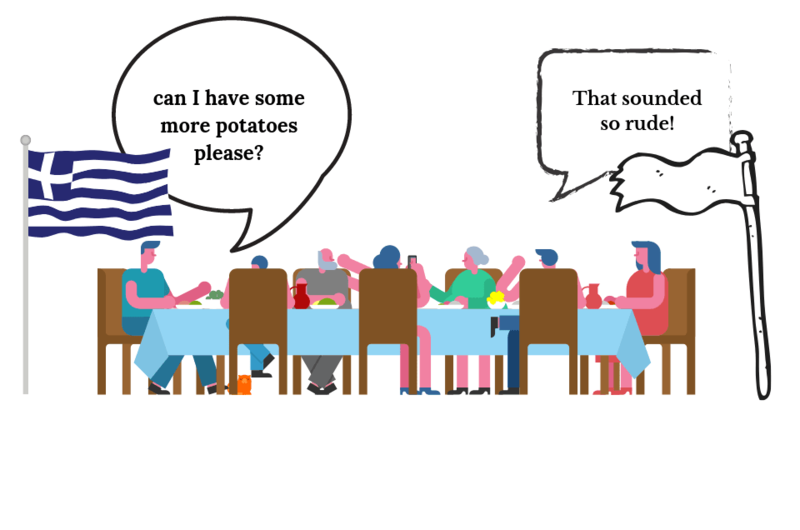 Our friends from abroad or previous guests have noticed that in Greece people tend to speak with a directness that they are not used to. They have also commented that our conversations sound like we are fighting while we might be simply exchanging pleasantries. Sometimes, “pass the salt” sounds like a fight is about to begin. If you have watched My Big Fat Greek Wedding you can imagine the type of hilarious episodes we are referring to. If you haven’t had the pleasure of watching the movie, then it will make for a perfect introduction! Previous guests have also commented that being aware of these differences made their time in Greece much more enjoyable. This doesn’t just apply to your interaction with us but with other Greeks throughout Greece. Afterall it is our goal to allow you to explore the core of the real Greece and interacting with everyday people is an important factor of this. Travelling and experiencing a new country and culture is magical. When direct translations fall flat, laughter ensues. Laughter brings people closer together and that is exactly what we hope happens while we show you around our country! Hi, there! I am Rania and I am primarily responsible for the keystrokes behind the articles and blogposts on here. Everything you wanted to know about Greece and all the tools to help you plan your holiday! I am a daughter, a student, a lover of stories and a traveller. More of my writings can be found at Bachelor of Travel.